Prior to the big event, Jakarta International Java Jazz Festival starts up the ‘fever’ by holding a series of pre-event, known as Java Jazz on the Move (JJOTM). Performing at Java Jazz on the Move are popular Indonesian and international artists (the international artist usually perform a couple of days prior to the D-day) who are usually successful in peaking jazz lovers in particular, and music lovers in general, to attend the main event. Java Jazz on the Move takes place at popular hang out venues such as shopping centers, malls, clubs, and on some occasions, universities. 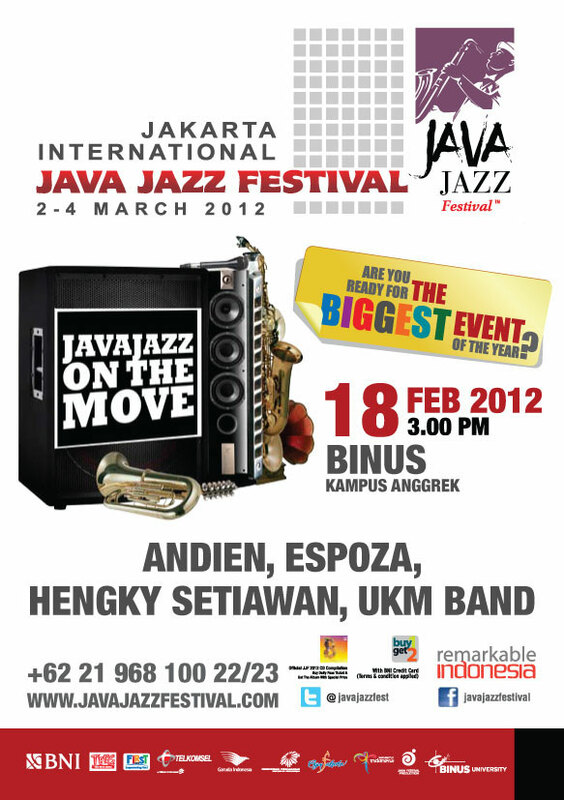 Java Jazz on the Move creates a fever that only the main event, Jakarta International Java Jazz Festival, can cure.